Travel effortlessly with on-demand WiFi in 130+ countries. 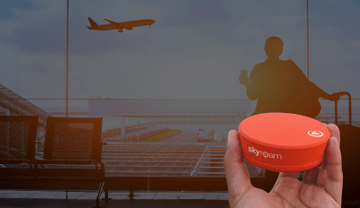 Equip your team with Skyroam and eliminate roaming costs while increasing productivity. Carry your own portable WiFi hotspot & power bank to get secure mobile WiFi ("MiFi") wherever you travel, and charge your gadgets on-the-go. No SIMs or tedious configuration needed. Simply turn on the hotspot, press start and connect up to 5 gadgets at once. 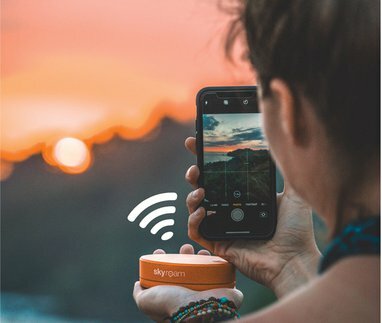 Skyroam will automatically find the best local network signal for you in over 120+ countries. Get fast and secure unlimited data that keeps you always connected and productive while on the road. Impress your clients, team and customers with your ability to navigate your work travel and stay on top of your important emails, conference calls and meetings! Save up to 60% with our Unlimited plan! THE ULTIMATE GLOBAL CONNECTIVITY GADGET! Keep traveling employees connected at all times, while reducing business travel expenses with capped international data rates. Contact us today to explore our innovative global wifi technology.